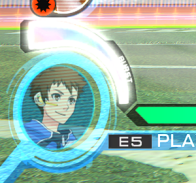 Pokkén Tournament is an arcade fighting game currently only available in Japan. A Western release is rumored but nothing has been set in stone yet. In the meantime let's look at how the controls work and the game's two phase battle system. We'll then go through each pokemon's list of attacks. More information will be added to this page at a later date. 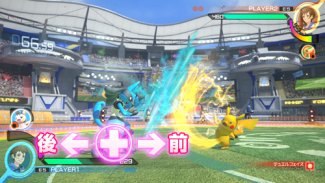 Pokkén Tournament is unique among other arcade fighting games in that it uses a console-like controller rather than a traditional arcade joystick and buttons. 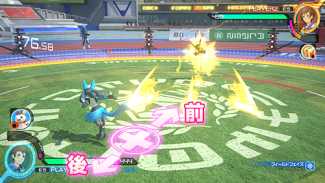 There are two battle modes in Pokkén Tournament: Field Phase (フィールドフェイズ) and Duel Phase (デュエルフェイズ). 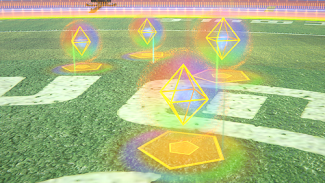 In Field Phase mode you fight on a 3D battlefield. 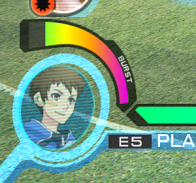 This mode is great for boosting both your Support Pokemon gauge and your Resonance Energy gauge. Pressing Up on the D-Pad makes you move toward your opponent while pressing Down on the D-Pad makes you move away from your opponent. 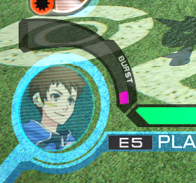 You can enter Field Phase mode by dealing damage with certain attacks. In Duel Phase mode you fight in a 2D battlefield. In this mode you use the Left and Right buttons on the D-Pad to move toward or away from your opponent just like you would in any other 2D brawler. In this mode you can press Up to help you perform powerful attacks aimed above you and Down to perform quick lower body attacks that have a longer range. You can enter Duel Phase mode by defending yourself using certain attacks. Changing between these two modes is called a Phase Change (フェイズチェンジ). Performing a Phase Change isn't purely cosmetic; it greatly increases your Resonance Gauge as well! More information will be added in future updates!